Fussy eating is not only a problem that affects children. If undealt with, it can continue being a problem - right through to adulthood. Getting children to eat healthily can be challenging, let alone trying to get them to show enthusiasm to eat fruit and veggies – particularly when they’re constantly exposed to so many junk food options. If the habit continues for a prolonged period, it may result in the child becoming more demanding about the foods they eat – which may have a long-lasting and damaging effect on their relationship with food. But, there are treatment options available; hypnotherapy is one proven method of helping fussy eaters change their relationship with food. We spoke to Hypnotherapy Directory member Penny Ling about how she approaches hypnotherapy for clients with fussy eating habits and how it can change their relationship with food for good. What are the common underlying issues of fussy eaters? Something traumatic happened and they developed a deep fear or hatred of certain types of food. Their parents had very limited diets themselves. I had a client who, now in her 50s, was obese and wanted to lose weight. The problem was that she had developed fussy eating as a child when she went into hospital aged 4 for an operation. From that day onwards she would not eat eggs, fish, most vegetables, pork, lamb or offal. Her diet consisted of minced beef, potatoes and peas in a variety of different forms – beef burgers and chips, cottage pie, mincemeat pie and potatoes etc. Children are naturally drawn to sweeter foods and often dislike bitter foods until their late teens. You also find the look of a food will often be part of the problem, too. If you think about it, our ancestors paid great attention to what they were eating, as new foods could kill you, so this instinct is well and truly part of what makes us human. But, food is often not the real issue. 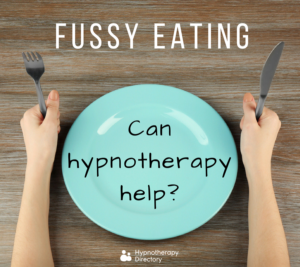 How do you approach hypnotherapy for a fussy eater? 1) What they currently eat. 2) What they would really like to try. 3) What they refuse to eat. This way we can work on slowly introducing new foods into their diet. The hypnotherapy is to lower their anxiety of trying the new foods or to scramble any traumatic experiences with food, such as food poisoning. I also teach mindfulness, so come to meal times they feel focused and relaxed, not stressed out by what might be arriving on the table. I also encourage them to cook more; if you are preparing a meal you know what’s in it. What kind of results can be expected? How long does a treatment plan typically last? 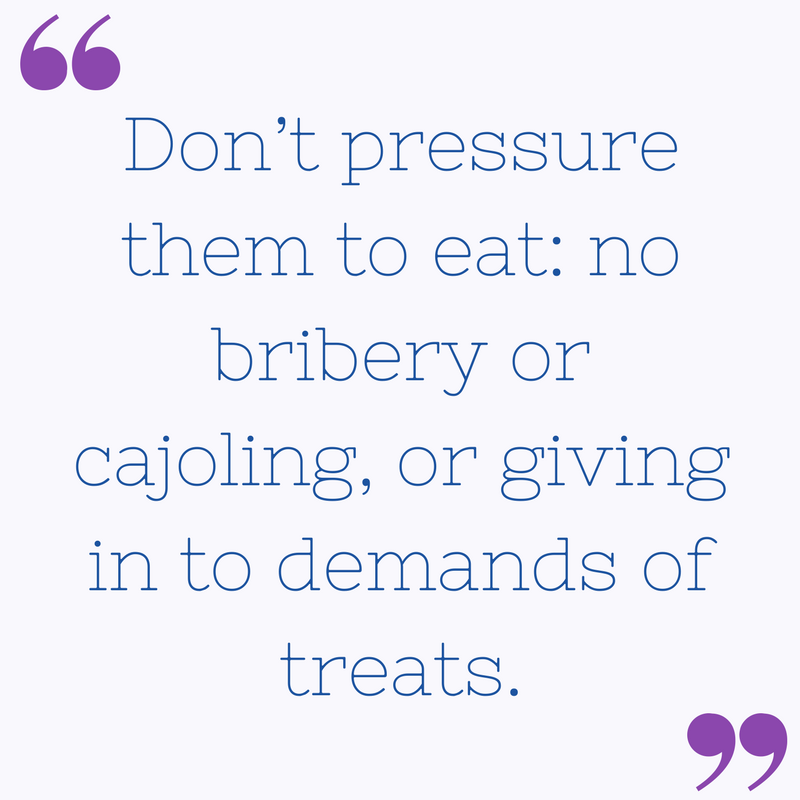 The length of treatment depends very much on how stressful the clients find trying new foods. Some just need some guidance, others need their stress levels lowered first before trying their eating plans. It varies between four to 12 weeks, usually. With children, it can be longer, and often a parent also has the problem – so, helping them is often the first priority. What advice would you give to parents of fussy eaters? Don’t allow mealtimes to become a battle of wills and create a healthy eating environment to start with. Eat meals as a family at the table, as children see adults eating a wide variety of foods and often will want to try them themselves. Always offer the healthy option first and have plenty of fruit and vegetables to hand. Don’t use treats as an affirmation. “If you’re a good girl you can have some sweets” can set them on a bad eating regime for life – believe me, it’s often been the problem with a lot of weight loss clients of mine over the years. Don’t go into an “eat everything on your plate, there are starving children in Africa” routine – this can lead to overeating later. The mantra “eat what you can, leave what you can’t” is the best, just make sure what they are eating is good to start with. If you are concerned about your child’s eating habits hypnotherapy could be the answer. To contact a qualified professional in your area use our advanced search tool. Beach body or beach ball? Panic attacks, are they something to avoid?